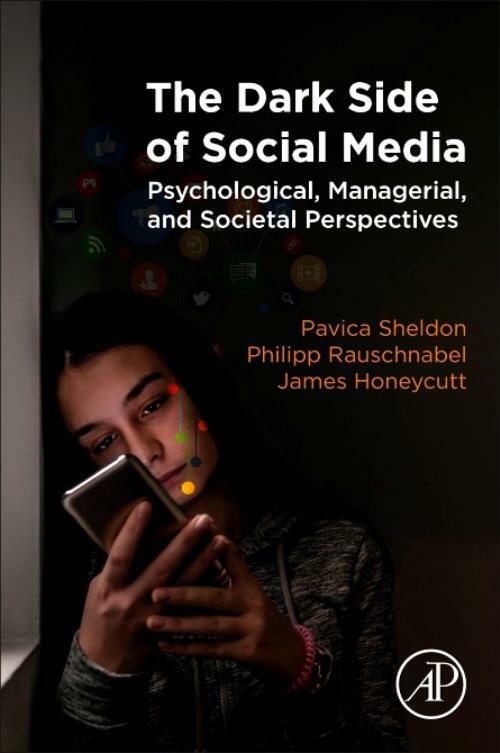 Dr. Pavica Sheldon is a Chair and an Associate Professor of Communication Arts at the University of Alabama in Huntsville. Her areas of research interest include social media and interpersonal communication. She is an author of two books (Social Media: Principles and Applications and Scripts and Communication for Relationships) and more than 40 articles published in academic journals, books, and other outlets. She has received a number of top paper awards. Dr. Sheldon received her PhD and a master's degree from the Louisiana State University. Philipp A. Rauschnabel is a Professor of Digital Marketing and Media Innovation at Universität der Bundeswehr München. Prior to that, he was a faculty member at University of Michigan-Dearborn and consulted numerous organizations in the field of marketing, digitization, branding and social media. He has taught in various institutions in Germany, Austria, France, USA, and China. His areas of interest include social media and XR (that is, Augmented Reality, Virtual Reality, Mixed Reality, and so forth). He is (co) author of more than 100 articles published in academic journals, books, conference proceedings and other outlets, and received multiple awards. Dr. Rauschnabel received his PhD from University of Bamberg (Marketing) and has a Master of Science Degree from University of Göttingen. Prof. Rauschnabel is editor in chief at International Journal of Technology Marketing (IJTMKT). Furthermore, he is one of the founders of MarketingScholars@Facebook, one of the largest social media communities for marketing academics.